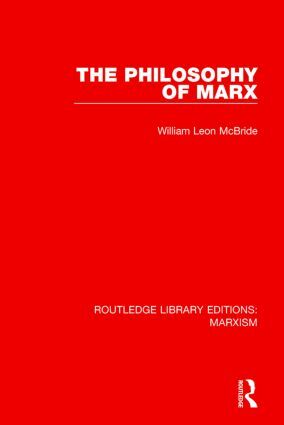 This book, first published in 1977, presents for the first time a serious and systematic assessment of Marx primarily as a philosopher. It considers all major aspects of Marx’s theory – its methodology, its ontological dimensions, its approaches to the descriptions of history and of societies and their economic structures, its alleged predictions and its vision of the future – as well as some of its intellectual antecedents and twentieth-century heirs. The presentation of Marx’s ideas attempts to be at once faithful to them, as distinguished from their reinterpretations by later ‘Marxists’, and yet novel in form and language. From this unique standpoint, the book aims to bring the student of philosophy and of political ideas to a closer understanding of the intellectual foundations of Marx’s Capital and his writings in collaboration with Engels.